A few weeks ago, my daughter and I visited our local botanical gardens where they have an indoor butterfly pavilion. That was probably the greatest adventure I could give to her. Butterflies were all over the place! 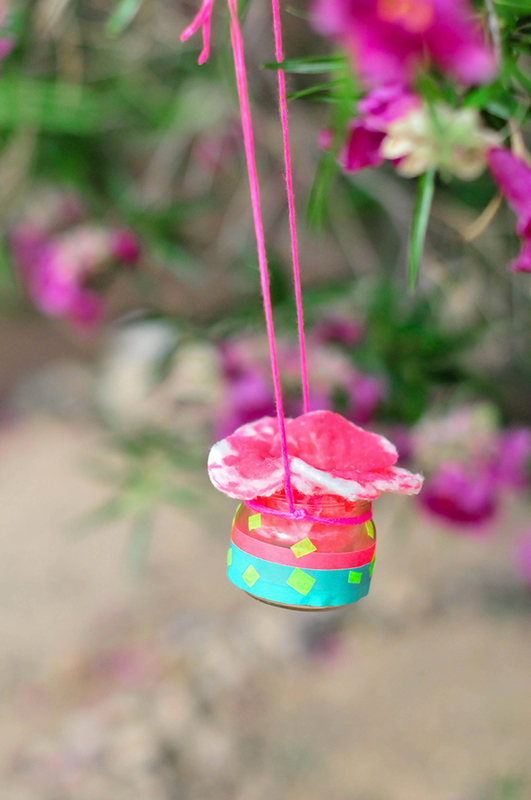 I wanted to try to recreate the magic at home, so I came up with a super simple butterfly feeder that you can make in under thirty minutes. 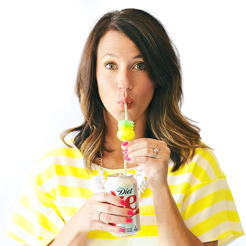 And if you’re a parent (or just enjoy eating baby food), you probably have the jar necessary to make it. 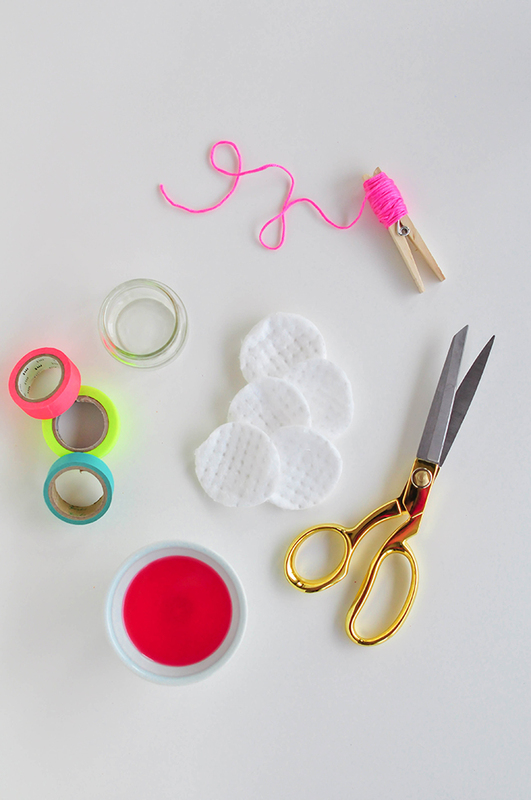 Step 1: Play around with the cotton pads and layer them a little bit over each other to form a “flower petal” shape. 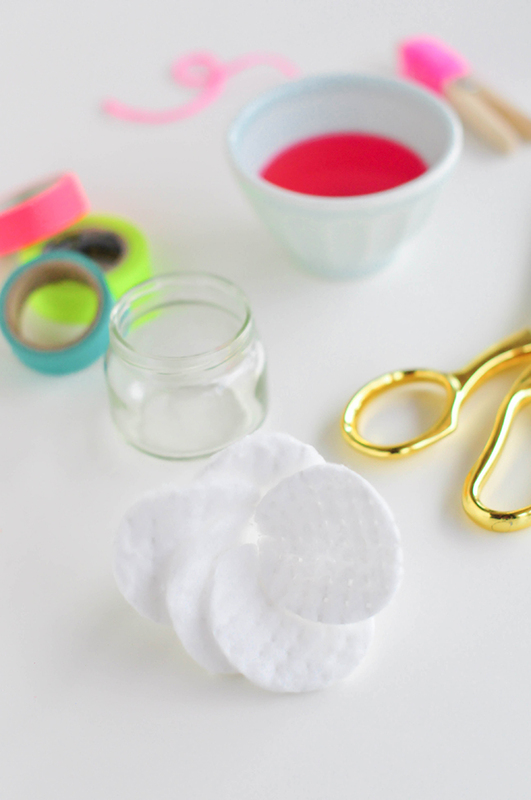 Step 2: Decorate the jar with pieces of washi tape. The more colorful, the better. 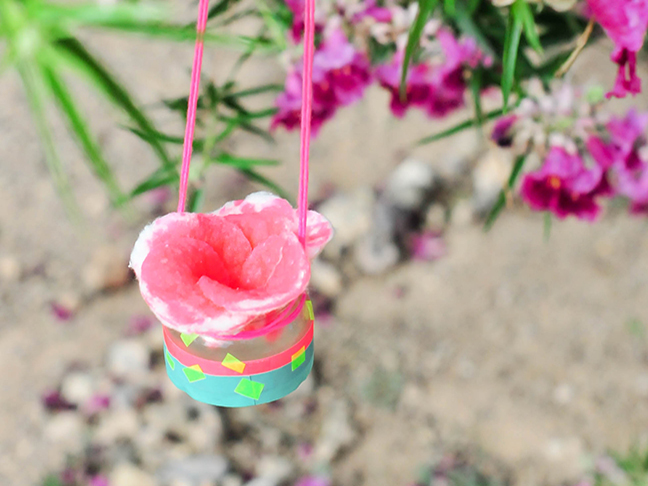 Butterflies are drawn to colorful shapes that look like flowers, so you can do no wrong when it comes to decorating. 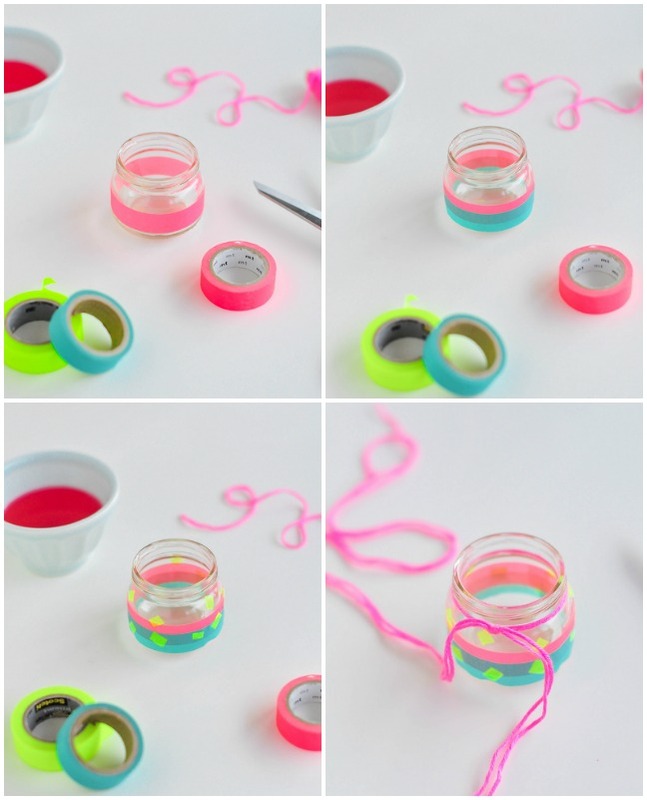 Step 3: Wrap the top of the jar with the string. I tied two knots the same distance from each other. 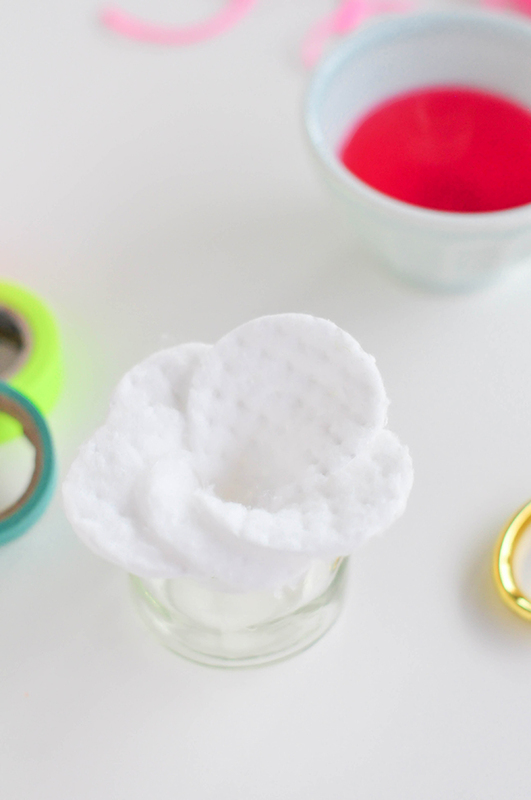 Step 4: Place the flower made from the cotton pads into the top of the jar and add the simple syrup one tablespoon at a time until the pads are completely saturated. Combine the water and sugar in a small saucepan and bring to a boil. Allow to boil for 2 to 3 minutes until the sugar is completely dissolved. 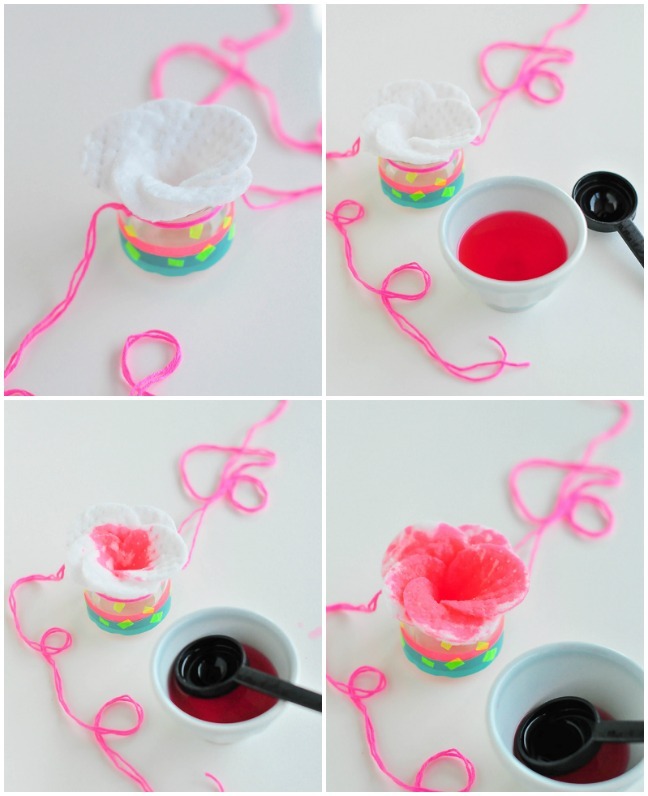 Add the drop of food coloring and stir until mixed well. Remove the pan from the heat and allow the syrup to cool completely. 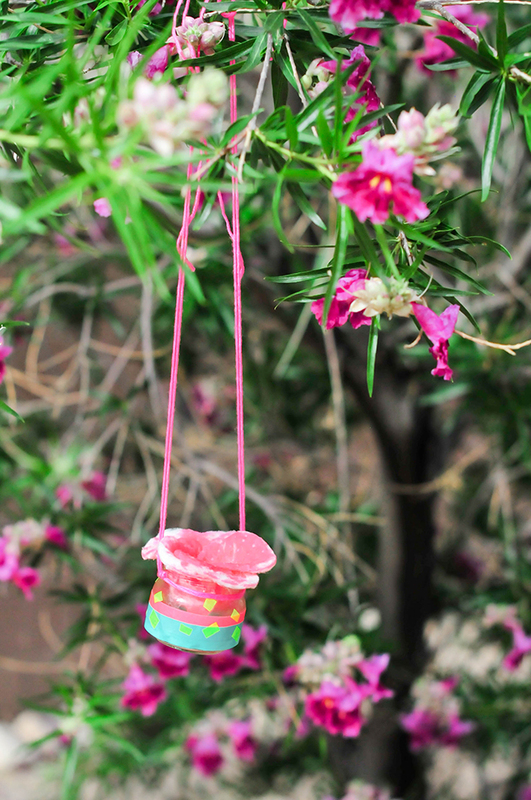 Step 5: Hang the jar in the trees and wait for the butterflies. The keeper at the butterfly pavilion showed me how to make feeders like this. 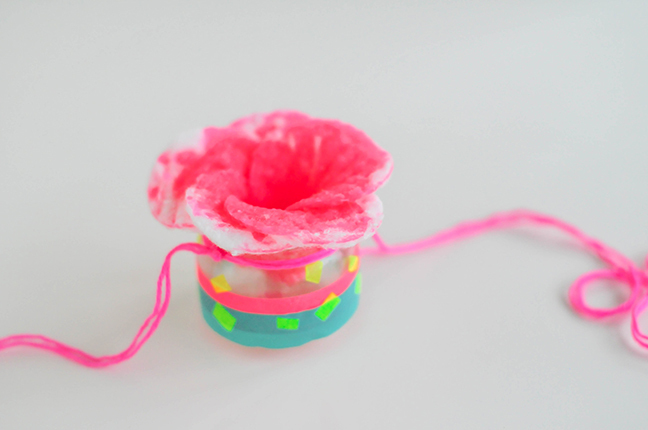 She said the pads hold the syrup well and look like flowers, and the butterflies love them. So I’m hoping we have flocks (herds? swarms?) in our yard soon.